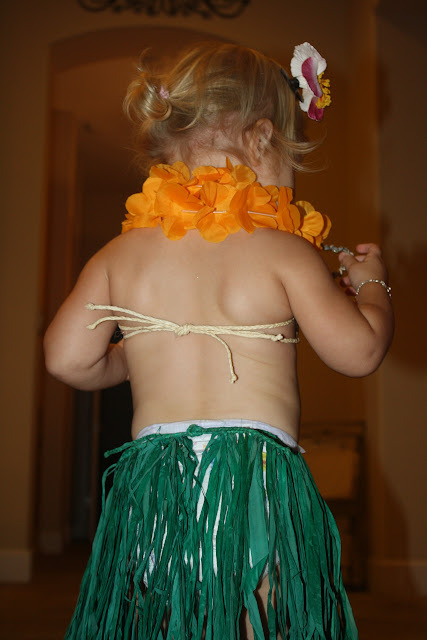 Our friends Maren & Michael and their daughter, Avi, went to Kauai a couple weeks before we left for our Hawaii trip and Maren brought Olivia and her friends back a little grass skirt set. Last night as we were putting things away, we came across the skirt and decided to try it on. Olivia looked as cute as could be in the little outfit and kept calling herself a ballerina. Her little Hula Doll, Emma. I'm thinking a return trip is in order! And, it was back to the cupcake pajamas a few minutes later! 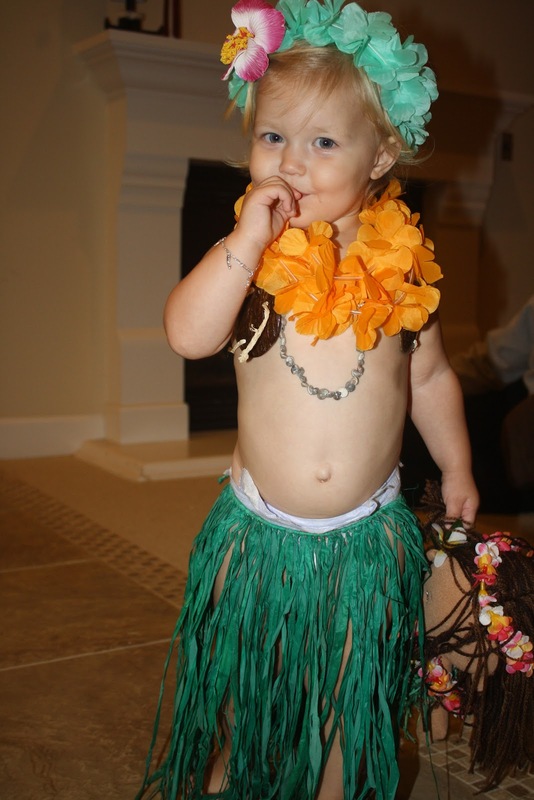 She has to be the cutest Hula girl I have ever seen. I liked her little dance while wearing it too. Yep, let's go back. What a cute. Bet she was great on her 'moves' especially with her 'curves'. Too cute! She learned her moves from the ladies at Paradise Cove.